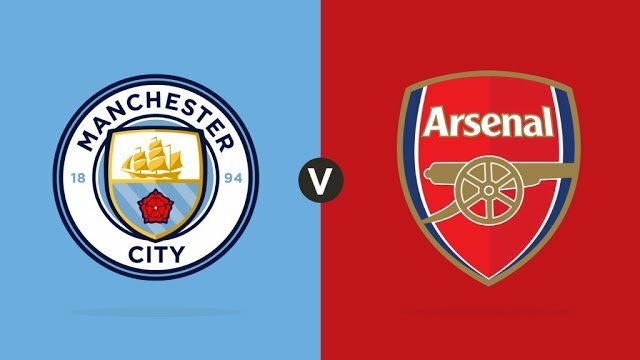 Manchester City will host the big game in the premier league in GW25 when they welcome Arsenal Today. Manchester City will be looking to bounce back from their shock defeat at Newcastle when they travel to Arsenal on Sunday, live on Sky Sports. Pep Guardiola’s side missed the chance to close to within a point of Liverpool as they were beaten 2-1 at St James’ Park on Tuesday. While Liverpool could not take full advantage as they drew with Leicester. There is now a five-point gap for City to make up ahead of a week that sees them play Arsenal, Everton, and Chelsea. Manchester City host Arsenal this afternoon needing a win having lost ground in the Premier League title race in midweek. City looked set to seal another victory as they led 1-0 at Newcastle United, but the Magpies fought back to seal a shock 2-1 win over the champions to blow open the title race. Liverpool had the chance to go seven points clear, but their Anfield draw against Leicester City meant Jurgen Klopp’s side sit five points above Pep Guardiola’s side. As for Arsenal, Chelsea’s 5-0 demolition of Huddersfield sees the Gunners sitting fourth as the battle for the final Champions League qualification spot looks likely to be between Unai Emery’s men, Maurizio Sarri’s Blues and Manchester United. Manchester City will monitor Benjamin Mendy, who has sat out the last two games after suffering a swollen knee on his comeback from injury. Captain Vincent Kompany will miss an eighth successive match because of a muscle problem. Arsenal skipper Laurent Koscielny is back in full training after a jaw injury and could feature. Loan signing Denis Suarez is available for his debut, while Ainsley Maitland-Niles’s knee problem will be assessed. Henrikh Mkhitaryan is nearing a return from a foot injury and will also be monitored, but Sokratis Papastathopoulos, Rob Holding, Hector Bellerin and Danny Welbeck remain out. The match will be shown live on Sky Sports’ Premier League and Main Event channels and is available via Now TV with a day pass on offer for £7.99. Man City and Arsenal have met 43 times in the Premier League: the Gunners have won 23 times, City 10, with 10 draws. City has won their last three League games against Arsenal and beat the Gunners 2-0 at the Emirates earlier this season.